Site controllineparts.com was created by a team of professional athletes from Ukraine in 2018. Our team is engaged in the production, configuration, testing and implementation of the highest-level sports model aircraft in the FAI F2ABCD cord class. We are happy to share with the athletes of the whole world the latest technical innovations in the airplane sports. Support service at controllineparts.com will help you to choose the right aircraft model, engines to them, propellers, control lines, components and spare parts, as well as tools for assembling and servicing your chosen equipment. We deliver our goods from Ukraine by the national postal operator Ukrposhta or by another international postal operator by agreement with the buyer. The term of international delivery is from 10 days to 1 months depending on the final destination of the buyer. We guarantee the receipt of the goods or a full refund to the buyer. We provide a variety of payment methods. We invite you to the sports complex Chaika in Kiev for joint training, experience exchange, communication and preparation for various competitions. At the Chaika sports complex, the international stages of the World Cup in cordless aircraft models are annually held according to the FAI calendar, the national championship of Ukraine, the Cup of Ukraine stages, the World Championships in cordless aircraft models in all classes were held in 1988 and 1998. The sports complex Chaika, which rents our model aircraft club, has three asphalted circles enclosed by a metal grid for flights of models in classes F2B Stunt, F2A Speed, and F2C Racing, as well as two herbal rounds fenced with metal mesh for flights of models of the F2D Combat class. In the territory of the complex there is special technical and subsidiary space for cord aircraft models servicing, space for the work of Judges and administration, rooms for coaches and team managers, asphalted parking for vehicles. There is an opportunity for accommodation of car camping. We also provide the possibility of accommodation and meals in the territory of the hotel complex Chaika in the immediate proximity of the sports complex. According to the Charter of our Aeromodelling Club, we accept private and collective applications from athletes, Aeromodelling clubs, Aeromodelling Federations, sponsors and organizations, to conduct training, training fees or organizing international competitions and festivals. Legal address: 4 Valentina Chayki str., Village Chayka, Kyiv-Svyatoshin district, Kyiv, Kyiv region, Ukraine 08130. Team Control Line Parts from Ukraine. 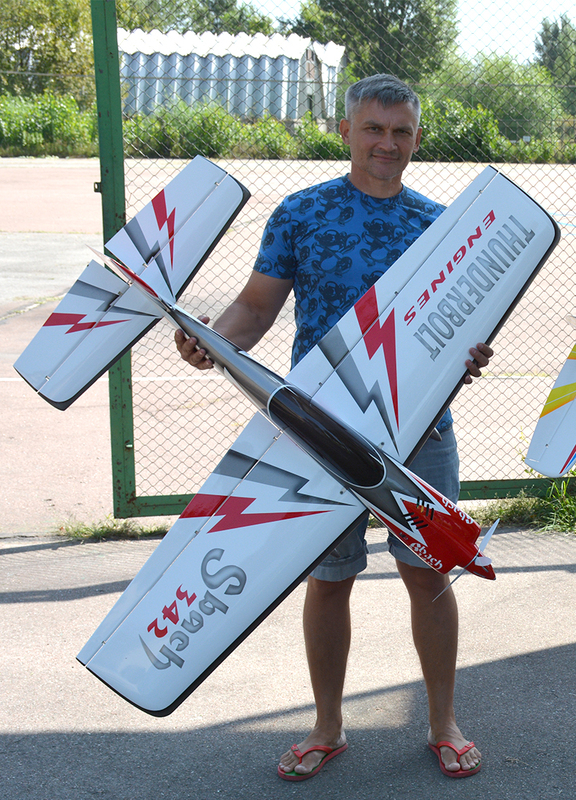 Team manager "Kyiv Sport Aeromodelling Club "CHAIKA"
President "Kyiv Sport Aeromodeling Federation"